With two weeks to go, planning for Melbourne’s largest celebration of Greek culture – the Lonsdale St Greek Festival (LSGF) – is well and truly underway. 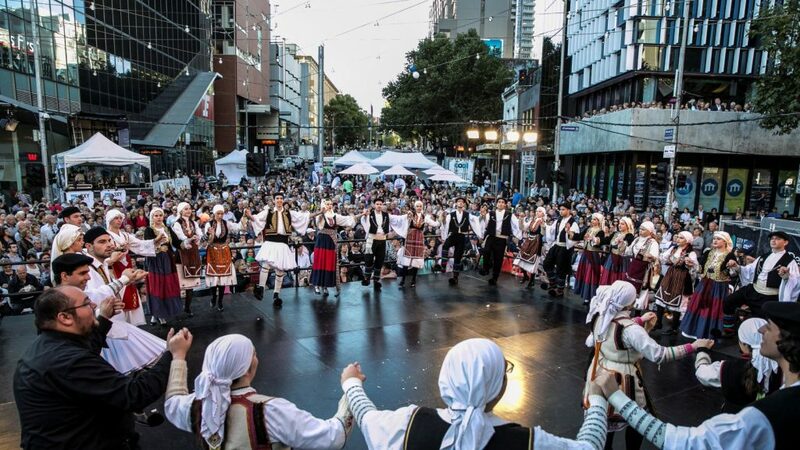 On the weekend of 23 and 24 February, the historical Greek precinct will be filled with 80 stalls, four free entertainment stages, two bars, cooking demonstrations, children’s rides and activities from 11am onward at Lonsdale Street (between Swanston Street and Exhibition Street). The Procal Greek Kitchen will host a range of cooking demonstrations, with fan favourites Helena and Vikki Moursellas, chefs and authors of Taking You Home – Simple Greek Food, hosting some of Australia’s best Greek chefs and cooks. It’s time to prep the rolling pin, because we are on the hunt for Melbourne’s best Baklava and Pita. Contestants will be required to bring along a tray of their famous flaky creation to be judged by a panel of expert foodies. Judging will take place a week before the Lonsdale Street Greek Festival, with the winner of each category will be not only be walking away with the title but will have the opportunity to share their winning recipe at the Procal Greek Kitchen during the weekend. Everyone loves to sing and we are ready to prove it. At 5pm on Sunday, the entire festival will stop and thousands of voices will belt out the the classic Greek song ‘Ta Paidia You Pirea’ (Never on a Sunday). Leave the car at home, take any city bound train, tram or bus to the CBD and head toward the historic Greek Precinct (between Swanston and Exhibition Streets, Melbourne).